Basic, boring and black. Not with the Spring It On spring suit. Styled with bold colorblocking in the season's hottest shades, you may never wear a bikini again. 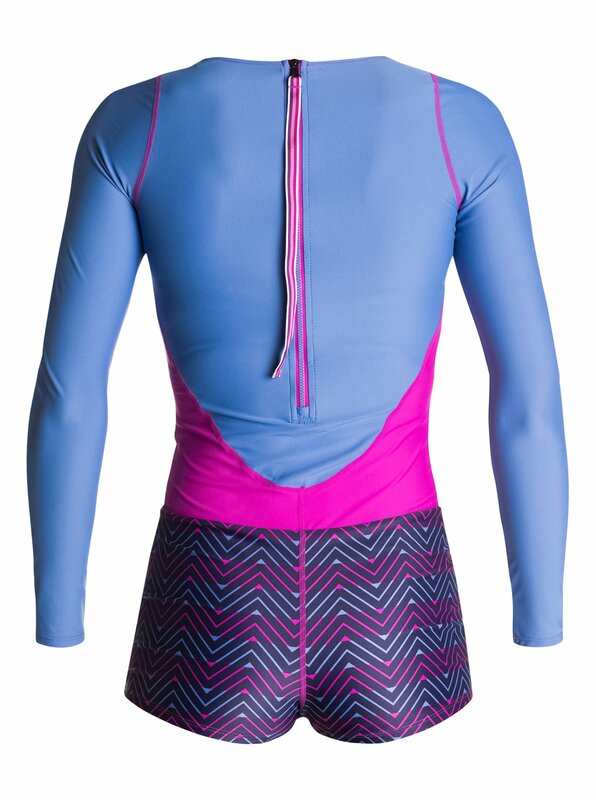 Designed with lightweight and stretchy rashguard materials. 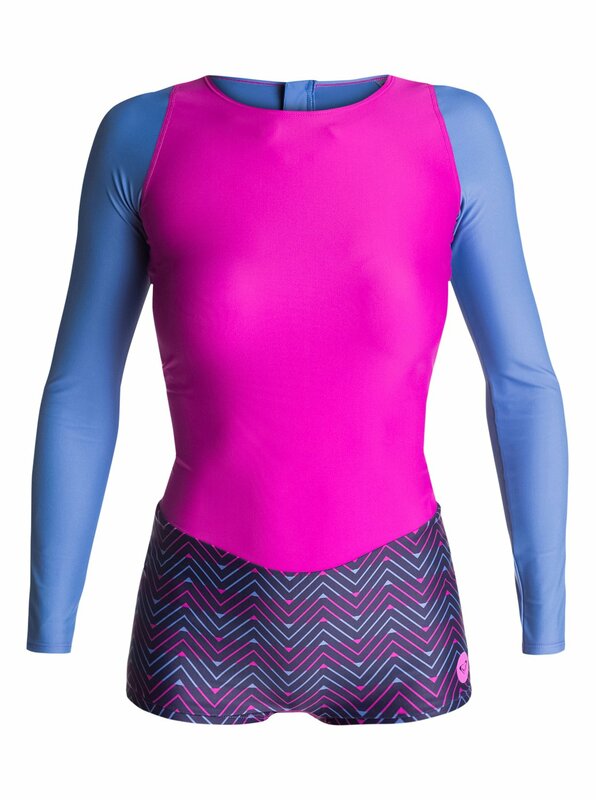 Like all Roxy active swimwear, this bottom is ideal for surfing, paddling, volleyball, and all water sports. 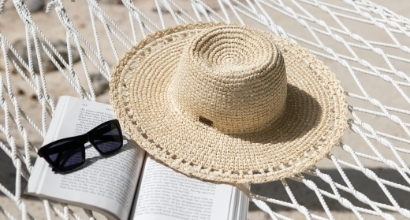 What's more, you can expect years of long lasting wear thanks to the Xtra life fabric's chlorine resistant and quick-dry technology that also blocks out the sun's harsh rays with UPF 50. Hand wash. 78% recycled nylon/22% Xtra life lycra.